Task: to decorate cars delivering Japanese dishes. 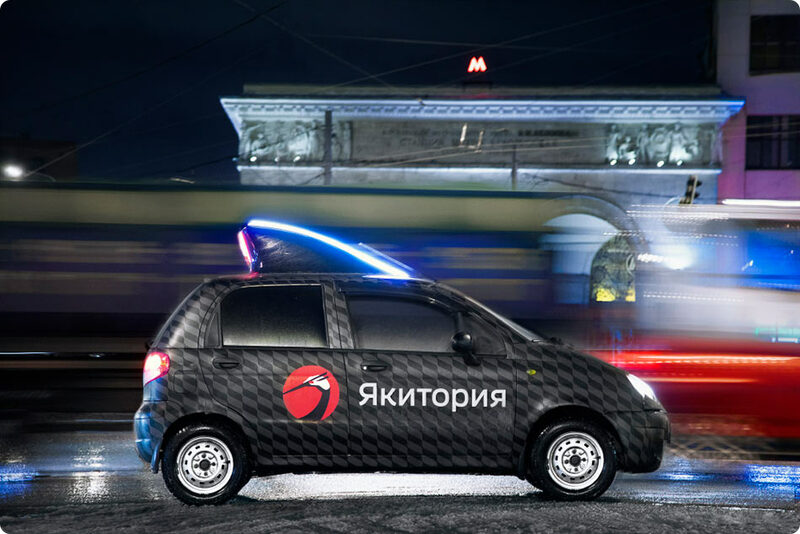 Every day, from early morning till late night, Yakitoriya’s couriers deliver sushi, rolls and other Japanese dishes across Moscow and Moscow suburbs. The updated corporate identity of the café called for a refresh of delivery cars’ liveries. 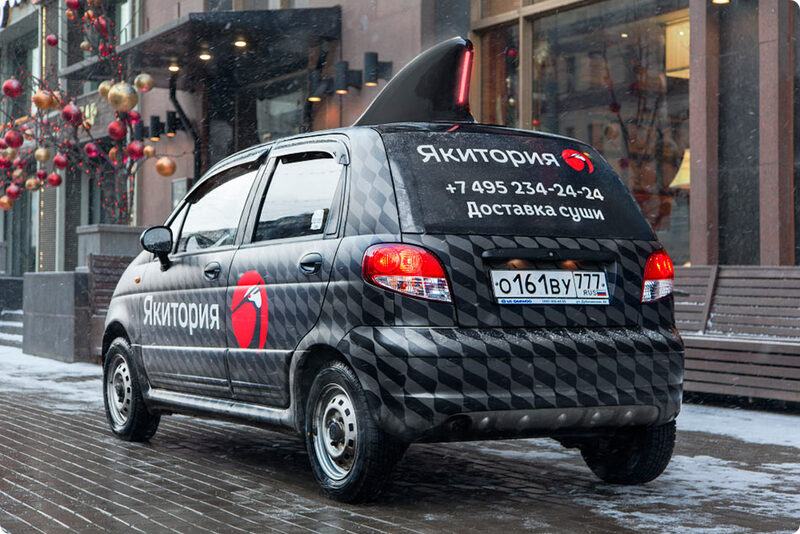 The large illuminated shark fin on the roof makes delivery cars stand out in traffic. 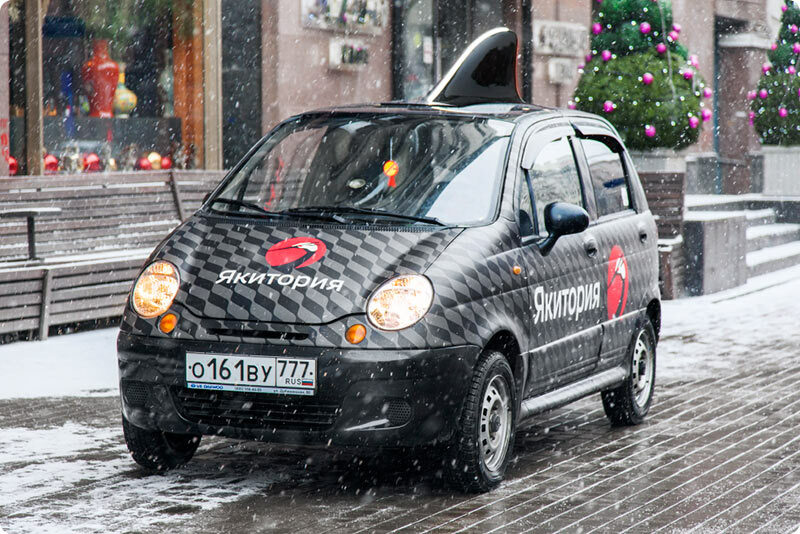 Cars are covered by a geometric pattern with the company’s logo on the hood and sides.